Joris Daudet wins the French National Championships in both Time Trial and Elite Mens Race in Bordeaux, France! 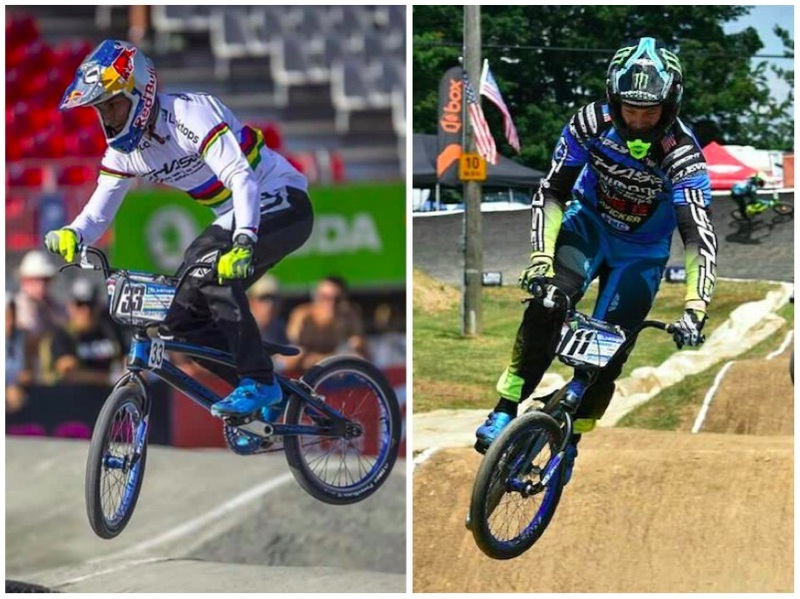 Joris Daudet headed over to France to join his teammate Romain Mahieu, earlier this week to compete in 2 huge back to back weekends of BMX racing in the South of France in the city of Bordeaux – The French National Championships and the European Championships. 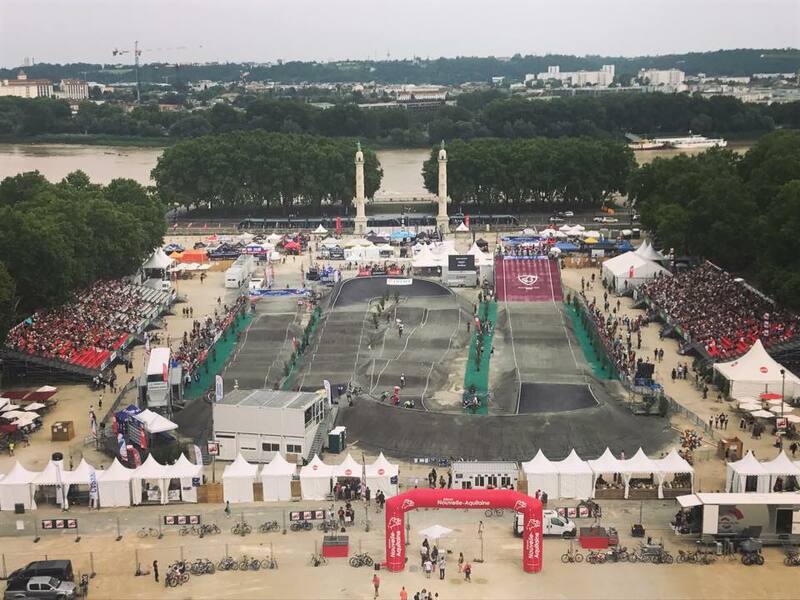 The track, build especially for the French National Championships and the European Championships has the looks of artwork, all while set in this historic French City. On Friday, the riders would take to the track for the National Championships for Time Trial. 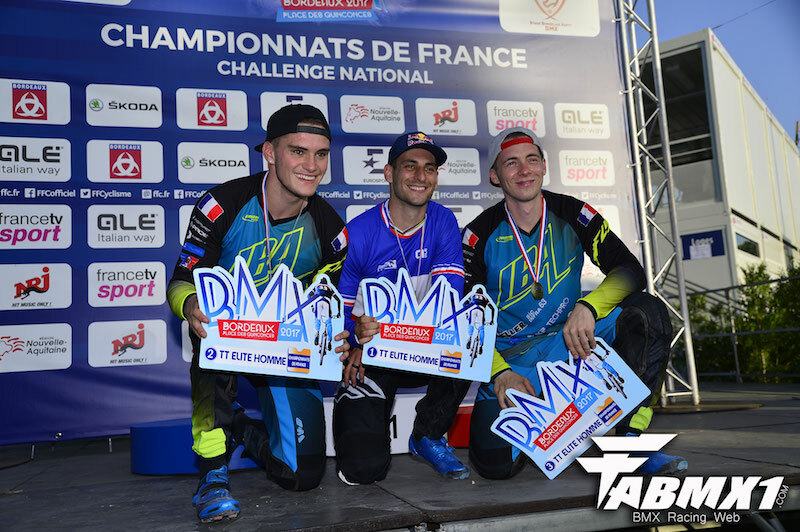 Joris rode a flawless lap and would take the overall win and National Championship title, with Romain Mahieu finishing just behind his time, in 3rd for the day. On Saturday, it was race day for Romain and Joris. Both would transfer there way into the main event. When the gate dropped, Joris would take the lead and have an epic battle with Sylvain Andre, but Joris was just riding perfect and once again took the victory and the French National Championship! Romain would finish up 7th for the day, but once again, rode impressive all weekend long. Joris will done the Championship sleeve on his Chase race jerseys once again, but hopes to hold on the the World Championship jerseys. 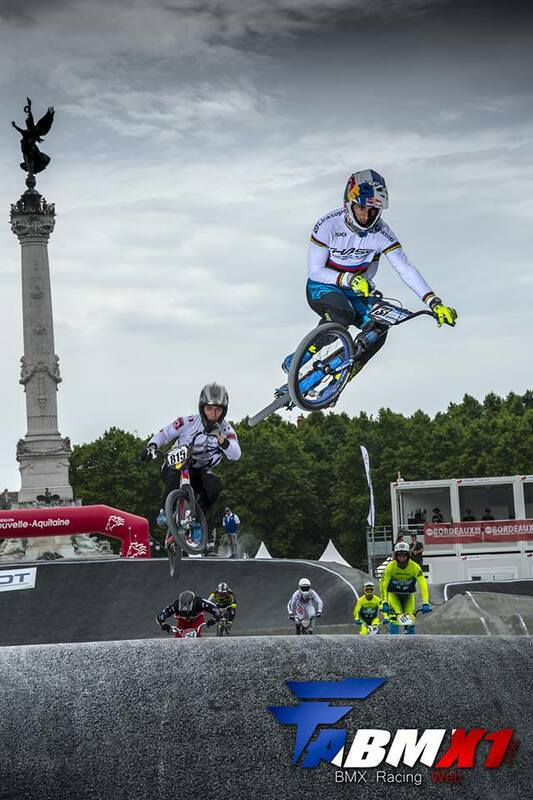 We will see how that plays out later this month at the UCI BMX World Championships in Rock Hill, SC in the USA! 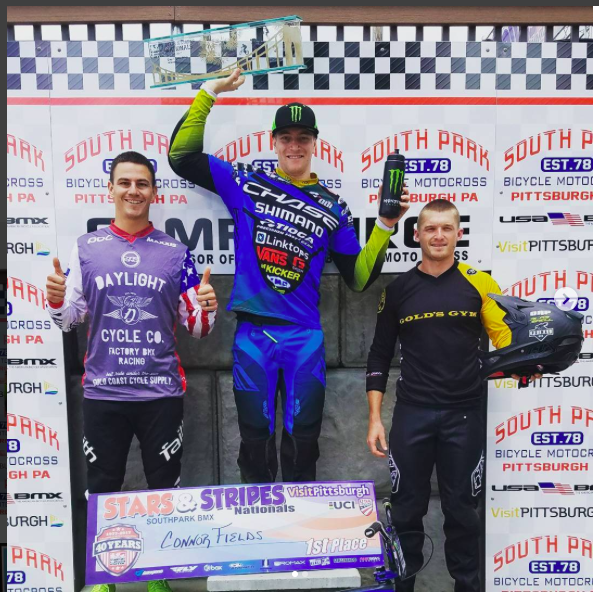 Connor Fields wins at the USA BMX National in South Park, PA. 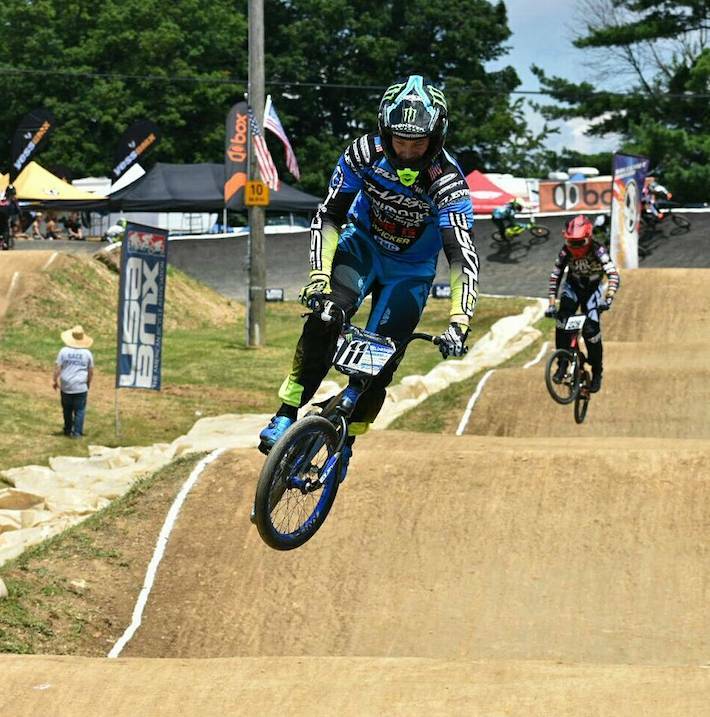 While Joris was in France, Connor Fields attended stop #8 of the 2017 USA BMX Pro Series tour in South Park, PA. This legend of a BMX track was at one time the pinnacle for Pro racing and it was great to see USA BMX head back to Bethel Park for one of the most historic BMX track ever to be raced on. On Day 1 (Friday) Connor would make his way into the main event and be to race for the win, but when the weather turned to rain, USA BMX postposed the Pro main event, unit Saturday morning, with the safety of the riders in mind. When it was time to race, Connor was on point and took the hole shot and lead the entire lap around the South Park track, taking the overall win. So then, after a brief break, the riders would start to race their way into the Day 2 program and into the main events once again. This time, Connor would have a all our battle with Corben Sharrah, with Corben edging Connor out for the main event. Wrapping up an excellent weekend of racing with a 1st and 2nd, Connor sits 2nd overall in the USA BMX overall points, but more importantly, has the momentum and confidence of 2 get results, heading into the UCI BMX World Championships in 2 weeks time.